Vinyasa flow yoga differs from other forms of yoga in the way that poses are linked together using smooth transitions. 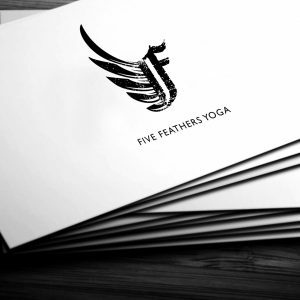 When creating logo concepts for Five Feathers Yoga, it was important to capture the calm, clean, serene, nature of the service. Also key to the success of the logo and other assets was an accurate reflection of the contemporary feel and “flow” associated with the specific form of yoga. The clean, white space afforded to the logo design is paired with a monochrome palette giving a sense of calm and ease. 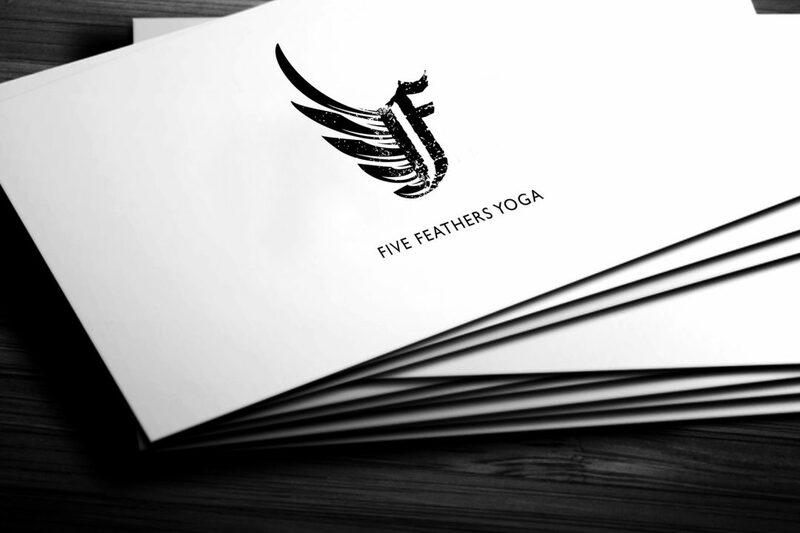 The natural, curved flourishes of the five feathers lend themselves perfectly to a visual representation of the “flow” central to the vinyasa style of yoga.